August 10, 2015 the Hair stuff. This isn’t something I’ve done yet by the way, so consider this my own way of preparing myself for the transition. So you’ve moved. Perhaps just to a new county, perhaps across the country. But regardless, your new location has made it unlikely that you’ll be able to easily see your favorite hair stylist again for quite some time. You tend to know your own hair’s schedule (when you need touch-ups, when you crave new color, when your ends need a trim or full-on chop), so you’ve got a basic idea of when you’ll be needing your next appointment. But are you going to book yourself for just any salon? The first one you see in your new hometown? Hopefully not. You could try that, but one of the last things I’m willing to take a shot in the dark for is my hair. I mean, really. So are there any steps to be made that can make the search for a new stylist as successful as possible? I would say yes. Ultimately, you can’t really tell what a hairdresser will do to your hair until that last mist of hairspray has been applied so there is inevitably some risk involved, but hey, that’s life. In short, this is about minimizing risk, but I would say to not look at it that way. This could be the start of a new and beautiful relationship! Step 1- Define your expectations. Before you go hunting for a great stylist, you have to know exactly what you would like during that first appointment. You know those times when you’ve found yourself really disappointed in someone, but it turns out it was your un-communicated expectations that let you down more than the person? In my opinion, this can happen easily with hair. You came into the salon with this vague idea of what you wanted, presented some very vague ideas to the stylist, and boom- a haircut that you hate, for whatever vague reason that you can’t articulate (because articulation appears to be a problem for you). Now let me ask you- Did you even really know what you wanted in the first place? Were you perfectly clear to the stylist about your desires? As it is in most relationships, it never works out really well when we leave it to the other party to guess what we want. So be clear! If you’re asking for bangs, be sure to specify if you hate angled bangs. If you’re going for an ice blonde shade like Michelle Williams in those Louis Vuitton ads, how about bringing in one of those ads to show the stylist?! Additionally, be clear about any expectations regarding the appointment itself. Need to be done in 2 hours? Say so before the appointment begins or is even booked. Refuse to have your hair cut by a razor? Specify before the booking. And while I’ve never done one of these myself, it may be worth having a consultation appointment first if the stylist offers. Bottom line- Your clearest expectations can and should be determined before you sit your fanny in any stylist’s chair. You don’t know this person, but they don’t know you either. Unless you really don’t care what happens to hair and you’re ready for anything from Kylie Jenner’s cousin It extensions to Sinead O’Connor, it’s on you to determine exactly what it is you want and it’s on you to communicate it using every tactic in the book from verbals to visuals, from “Don’t do this” to “I’d love this”. If you find that you’d made every effort to communicate “Jennifer Lawrence circa 2013” and you still wound up looking like “Alec Baldwin circa Now”, well, let them know how you feel, point out the discrepancies, pay the bill perhaps without a tip, and yippee ki yay your way outta there with no plans to return. Once you’ve established your own expectations before booking a salon, it’s time to do a little digging. 2. Take to social media! The way I found a couple salons in my new area that looked promising was through rabbit hole searches on Instagram combined with some basic Google work. I searched a couple hashtags like #chicagohairsalon, #chicagohairstylist, and others that were similar. I scrolled and scrolled until I found shots that I liked. If a salon or stylist knows what’s up these days, he or she should have an Instagram account that showcases recent work and you can see what they’re doing. Anything look good to you? Follow the stylist or the salon! Comment on their photos and interact with them; I had a salon in the Chicago area ultimately reach out to me because of the interactions on Instagram that we had shared. Additionally, it will help a lot to do some basic online searching. Search online for salons in your area and check out their Google ratings. Take a peek at the websites of the salons you come across in your searches. Looking for some place upscale? Trendy? A little more on the edge? Not in a neighborhood with trashcan fires? All of this will probably show through on the salon’s site, along with basic pricing and samples of work. Moreover, a good salon tends to have a good website these days anyhow. 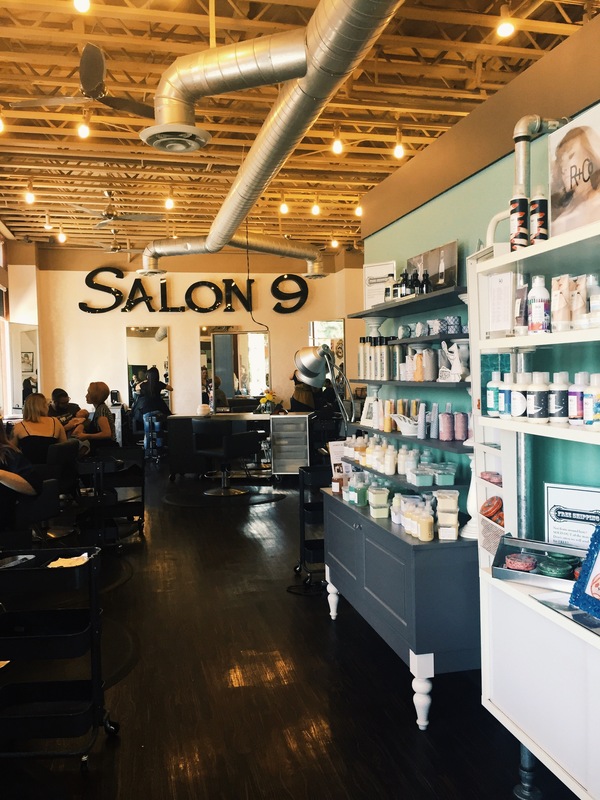 If the site is lacking or seemingly out of date, the salon may be too. You can always work backwards and search for salons in your area via Google first, and then try to look them up on Instagram. That may be easier. It’s also an option to search for salons in your area on Yelp, but I’m pretty wary of the site for it’s inability to weed out unprofessional and even dishonest reviews, so I say to approach Yelp with caution. If, however, a particular stylist is receiving multiple (and I mean 7-10, mentioned specifically by name and description of service) stellar reviews on Yelp, I’d say that’s a decent indicator of something positive. Ultimately, you should be looking for a stylist or salon on social media that seems to match the expectations that you’ve clearly defined for yourself. If a salon’s Instagram account displays absolutely nothing like what you’re looking for, then the place probably isn’t for you. If their Instagram is consistently turning out shots of hair that mimic Chrissy Teigen’s and you want hair like Chrissy Teigen’s, well, then you might have a winner. Oh! Have an affinity for a certain product line such as Aveda? Search for Aveda salons in your area, or those that feature L’Oreal/Kerastase, etc. Point is, do some stalking first. We no longer have to go in blind to a salon without seeing a consistent amount of sample work beforehand, and there’s no longer an excuse for booking a granny beauty parlor that you somehow hoped might be a hip salon that serves wine and hosts a deejay at noon. Search it, follow it, make a phone call, do the Google.